Andy makes a brief appearance (as we’ve mentioned a time or two) in Eric Shiveley’s documentary about being an indepedent musician that’s in the Jackson Hole Film Festival (June 5-9). Andy wants to help Eric get better gigs and more publicity, and it would be fun to generate interest in all the great Colorado music from the film. If you or someone you know is an industry bigwig, please let them in on this. Just watch the clips and forward them to friends. Everything else takes care of itself! P.S. : The guy who made the movie doesn’t make any money from this. So everybody wins! 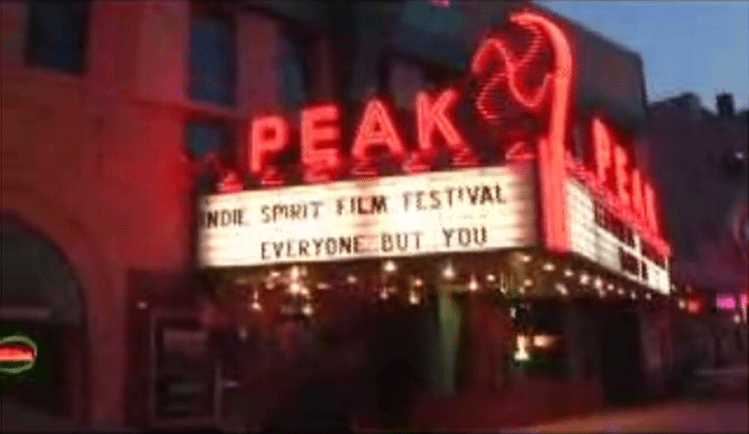 COLORADO SPRINGS – Eric Shiveley’s independent documentary “Everyone But You” made its Colorado premiere at the 2008 Indie Spirit Film Festival as the opening feature on April 25. In this YouTube clip, Eric captures some of the pre-show buzz and post-show Q&A. Eric’s movie took the cake at the Oxford International Film Festival, and here’s one review from a movie buff. I still can’t figure out why it takes 8 to 10 weeks to copy MP3 files to their catalog, when Amazon.com had it up the next day. Oh well, here it is. Looking for Andy Ard’s music? “Untitled on Wire & Wood” is also available on Amazon.com in its original context on the rachel & andy CD “So Much Left to Say“. If you have not yet seen Eric’s film, it just debuted at the Oxford International Film Festival, and will feature soon at the Indie Spirit Film Festival and the Jackson Hole International Film Festival. To contact the author and artist for licensing purposes, please write jukebox909 |at| gmail d0t c0m. If you’re wondering what this site is about, it’s in transition. It was once about music, then stupid humorous stuff (which moved to JankyVision.com) and is soon to be all about music again. If you’ve read this far, I’m truly impressed and honored.